Item No. 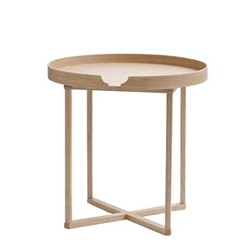 61 Round Oak Tray Table. Remove solid wood tray for serving. Clean and architectural.